Aero isn't the only Mega Man Legends character coming to Sound Rangers. According to the official Sound Rangers Twitter, players will soon have the chance to add Roll Caskett and Tron Bonne (among other Capcom characters) to their party. The pair can only be obtained via the "gatcha" feature, wherein currency is traded for random characters. This is a limited time event, running from January 24th through the 27th. 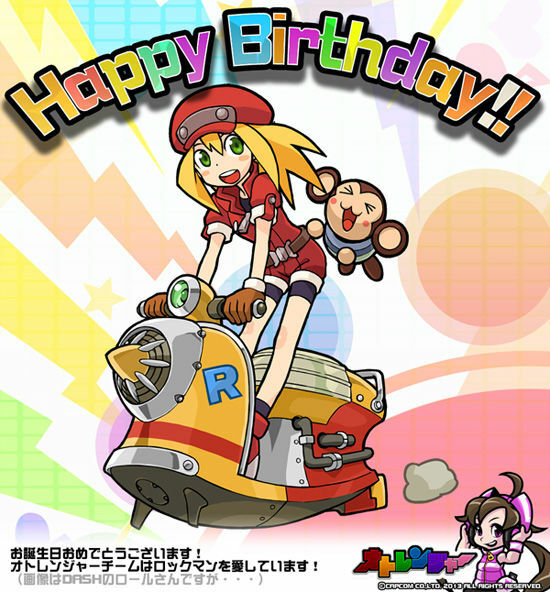 Keen-eyed fans will note Roll is wearing her Legends 3 clothes, riding a hover bike (hover bikes/mopeds were the intended method of transport in MML3 Prototype Version). This artwork previously appeared here as a "gift" to fans from the Sound Rangers dev team. Officially, still no word on what's up with Aero. It's probably safe to assume she can be won from the "gatcha" as well. We shall see. I'm vexed as to why Roll's on a flying moped. Its from MML3. Hoverbikes were to be used to get around. 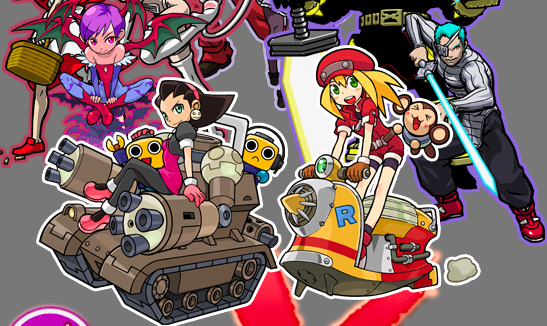 Think Barret's red hovercycle. Well my memory's hazy. But I'm almost positive Roll is not part of a biker gang. what is zoro doing there with a lightsaber? Hey! Respect Hayato he was created long before Zoro. Well maybe not this iteration of him but still. So one year is considered "long before" now? But in all seriousness, this game (Sound Rangers) is doing a better job of celebrating Megaman's legacy than CAPCOM's other mobile game. Okay, so if I'm reading this correctly, over a period of four days, people who've already accumulated currency in this Japan-only game can try and win a Legends 3 character from an algorithm that randomly picks them out of a pool of other Capcom characters? It's like, you go in with no expectations and even still they manage to disappoint. This is actually pretty funny. The art's cool, though. Someone out there should print some stickers or something. You do realize that this is no different from the gatchapon machines in Japan right? The 'concept' is nothing new. Unless you're saying those too are a whole form of disappoint. Yeah, I get the concept, but look at it this way. The way it's set up, the chances of someone who speaks English and is involved with the fandom even tangentially getting ahold of even one of them so they could even describe what this is, much less take gameplay footage or screenshots involving SR Tron and Roll (and Aero, assuming that's the deal here), is really, really slim. Plus, it's not like a rolling gatcha deal where you can at least save up to take a bunch of stabs at it over time. How much in-game currency can one actually accumulate in four days if they weren't too into Sound Rangers, but wanted a Legends character in their copy? I shouldn't get my hopes up, but..
What if...what if they are waiting to announce mml3 again to show aero in this game? Nah, too good to be true. But still is strange, Aero, roll in mml3's clothes. Seriously, why would they put Aero in here? Because they own her rights and aren't going to let her sit around in the dust, just like they won't let Volnutt or Tron sit around when it comes to crossover games. This is literally getting mileage out of Aero before she becomes completely obscure. Still, from an unreleased/cancelled game? Would you like salt with this wound? Ok, hold on, hold on. My "Something's not quite right here" senses are going off. Ok, Roll being in her proposed MML3 outfit I get. The guys who did SR did her art for a "gift" then decided to use it. OK. But what's up with Aero showing up too? That perplexes me. Capcom using her without a good reason would agitate an already agitated fanbase. 1) The SR devs are passionate about Legends. They did the Roll art as a gift to fans then used her in it. I can then assume that as a further gift to fans, they asked if they could use Aero as well which Cap JP allowed. Nothing real suspicious in this case. 2) The temperature in heck is dropping and these are hints that something MML3 is on the way. Im leaning toward 1 atm. But stranger things have happened. Zelda's Tingle exists afterall.